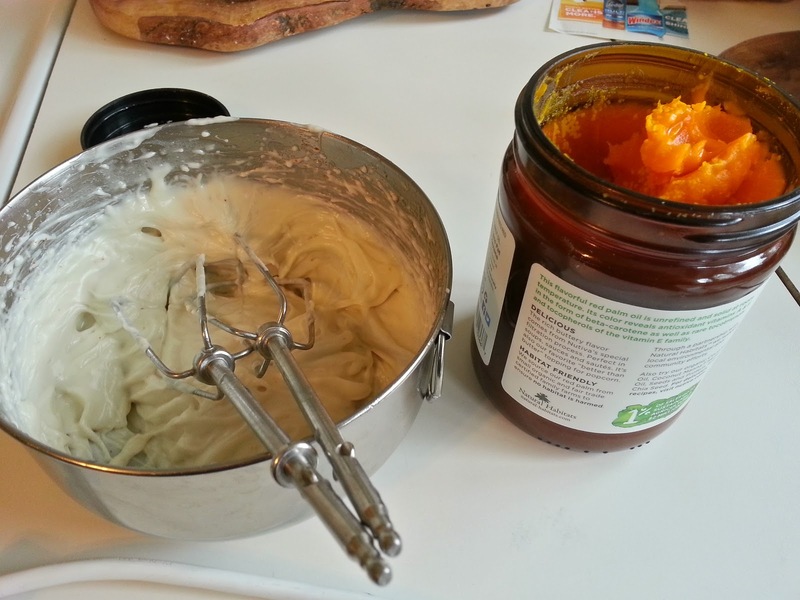 There have been a couple recipes on the #aquafaba development group at http://bit.ly/VeganMeringues lately--one just yesterday by Dana Warshawsky, and one from earlier this month, by @hnoflecopter over at Peanut Butter & Vegan. 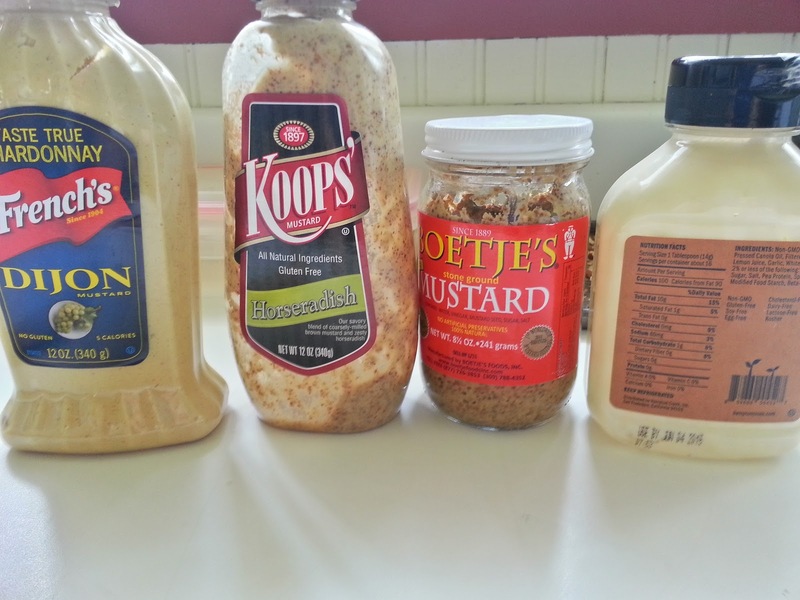 Both recipes are similar, so in order to decide which one to make, I tried to standardize their amounts to compare them to traditional mayo recipes online. First, a bit of research. Ok, done. From what I can tell, mayo is basically oil and eggs, (sometimes whole, sometimes partial), vinegar, and spices like mustard. Salt, sugar, thickeners, preservatives are common, and some recipes call for lemon juice instead of vinegar. 3/4 cups of oil (or up to a cup). Canola oil, water, lemon juice, vinegar, sugar, salt, protein, spices (eg mustard, possibly etc), food starch (thickener, I presume), and beta-carotene (color, I presume), in that order (I presume). Since one of the recipes in the group used vinegar and the other used lemon juice, and hampton creek uses both, I decided to just wing it on my own to see if I could make something close instead of trying to make one or the other. There was still some mayo stuck to the sides of the container, so I had something I could work against to see how mayo was supposed to taste. FIRST TRY - NO BLENDER! I noticed a common measurement between the two recipes was the amount of oil. That means I could start with the the oil and slowly add everything else, using taste as my guide. I poured 3/4 cup of oil into a bowl, started adding ingredients and blended with the immersion blender.. Well, starting with oil was obviously a bad idea. 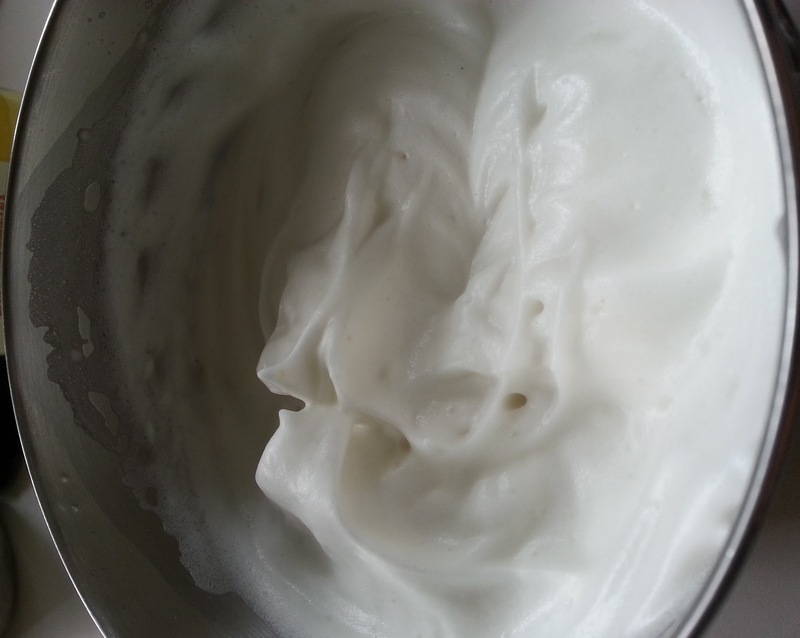 I must have been half asleep, because lately I have been experimenting with aquafaba foams and their ability to hold oil and fats, and I know better. 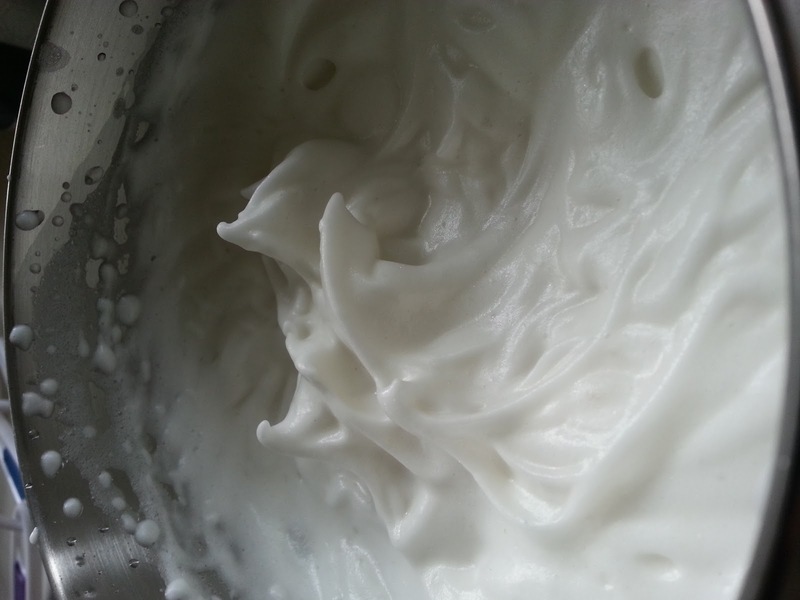 It's often proclaimed in our group, and I have even done so in the past, that you need to watch out for oil/fat/etc when you're making meringues or your foam will go flat! Well, that's only sort of true. You can make a meringue and pour in quite a bit of oil, as I will show in YET ANOTHER WAFFLE POST, so it's not the oil that destroys the foam, but a delicate balance of the *stage* of the foam, and the pH. Each stage tolerates oil differently. 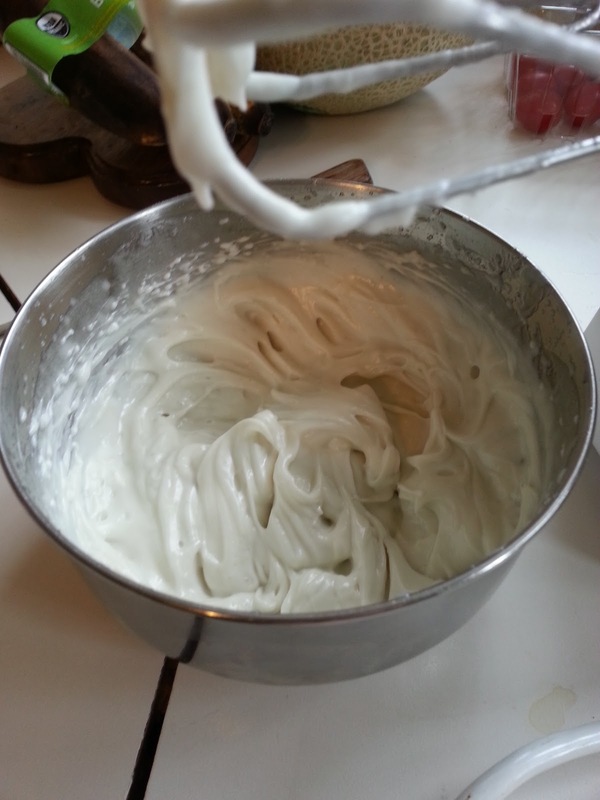 Aquafaba is not egg whites. You can't boil egg whites like you can aquafaba, for instance, and it interacts with fats in a different manner as well. 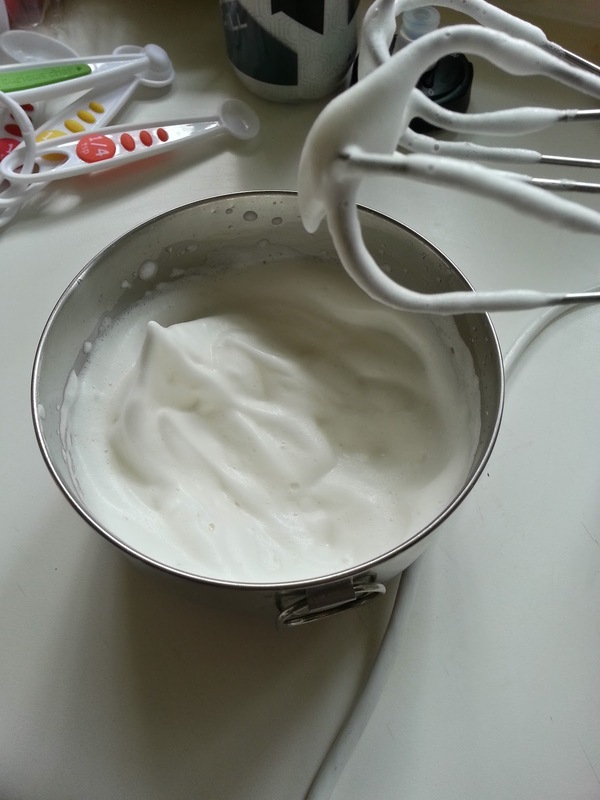 If you whip a can of aquafaba by itself with a half tsp of apple cider vinegar, for instance, and let it firm up with around 1/4 cup of sugar, you can pour in 1/3 cup of canola oil and still get firm peaks. If, however, you add in some vanilla before your oil, or increase your sugar before you pour in your oil, you end up with a bubbly puddle. It's sensitive, but totally possible to fill a standard aquafaba foam with oil. I decided right then and there that the immersion blender or vitamix was NOT the proper way to go. Aquafaba and I have a close relationship and I wasn't about to try to force a foam into submission. It doesn't give the foam room to do what the foam is meant to do, and it's not exactly accessible, either. Not everyone has those kinds of power tools, so there's that. Instead, I went for a small hand mixer and decided I was going to do what I do best and establish a beautiful foam before adding the lipids and letting the emulsification kick in to gear. The foam's at the perfect point to start adding in other ingredients at that point, according to what I've found, so I started to add in everything else but the oil. I didn't really know what ratios to use, but I think the list of ingredients on the Just Mayo label are in descending order in terms of some measurement... weight or volume, so I used that as a rough guide. First, I added 1/8 tsp salt and 1/8 tsp sugar. At that point the foam was less beany already, but a bit lemony. Nothing about it hinted at anything mayo. Second, I added 1/8 tsp black salt (kala namak, aka the sulphery stuff), and tasted it again. Now we're starting on the journey. It was like eggy, lemony aquafaba. Still nothing about it tasted like mayo to me, though. Eggs, sure, but not mayonnaise. Then I added 1/4 tsp of ground mustard. Bingo. Now we were well on our way. There were hints of mayo caressing the sides of my tongue. The play of tart, egg, and mustard was where it's at. Given that there was a hint of mayo, the next step was to turn some attention to the texture. This was still a super airy light foam, and that's not what mayonnaise is at all. It's a super dense, oily emulsion, not a foam. 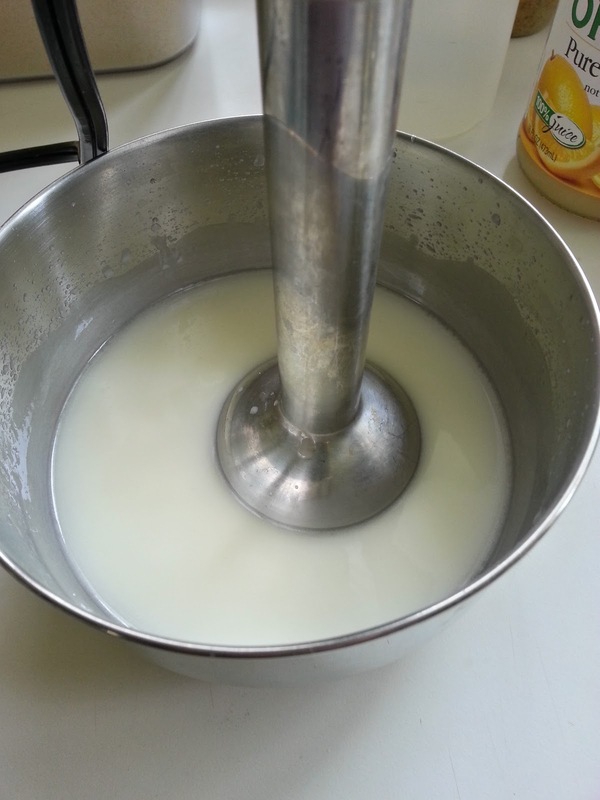 I started adding in canola oil, one tablespoon at a time, whisking it on high in between each with the hand mixer. 1 tablespoon of oil - The texture is noticeably better. The taste is still very vinegary, and it doesn't seem like there's enough egg taste. Foam is still easy to form into peaks and fun shapes still pop out unexpectedly. Another T of oil, up to 2 Tbsp now -- Foam is still holding its same form, but it's shinier now. Taste isn't that much different. Another T, up to 3 Tbsp oil - still foamy, nowhere near mayo consistency. A bit more dense, though, not as light, and peaks aren't as firm. It's taste is starting to swing a little bit towards miracle whip, but it still has egg overtones. All of the mustards were made of mustard seed, vinegar, salt, sugar, and some had a few other spices and preservatives, but it's basically sugar, vinegar, and mustard seed, so something about the acid and sweet brings out the mustard taste, I guess. There's already some vinegar and sugar in the bowl, so I decided to toss in some wet mustard, too, just to see how it changed the taste. I added 1/4 tsp of the French's dijon mustard and another 1 T of oil, for 1/4 cup oil so far. That made a difference. It tastes now like a very distant mayo. Like someone sprinkled a bit of essence o' mayo into an aquafaba foam. The consistency of it was still very far from where it needed to be, but the taste was showing promise. Another 1T oil, 5T total -- Definitely closer yet. The canola is contributing to the taste, which I didn't expect. It's still very foamy. Another 1T oil, 7T total -- still good, but still too airy, and it's blindingly white! Mustard powder doesn't seem to change that one bit. Another 1T oil, 8T total -- taste is good now. It tastes like a a very light mayo. Like someone diluted the expected taste of mayo by half. The consistency is all wrong, though. That means the proportions of the spices/sugar/acids/salt are probably very close to what we need, just need to double them and keep adding oil. It was getting late, though, so I put it in the fridge overnight. Out of the fridge in the morning with a fresh palate, I was able to confirm the taste was spot on, just weak. the consistency wasn't good, though. It had separated slightly, and was still too foamy. I wanted to see if I could address the texture with just oil, so I added two more tablespoons of oil, 1 Tbsp at a time, mixing on high between each, for a total of 10 Tbsp. The consistency was better, but not thick at all. Two more tablespoons of oil later, it was close. Now with 3/4 cup of oil, the consistency wasn't bad any more, but it wasn't right either. Spread on a sandwhich, most people probably wouldn't care, because it could convey the taste, but the texture of mayo is thick and malleable. This wasn't. It was still foamy. At this point, I flailed a bit away from accessibility, and instead of continuing down the same path I was going, I mixed in 1/4 tsp of konjac mannan powder to see if it would thicken up a bit. As it turns out, that may actually have ended up being a good thing. Until I can experiment again, I'm not entirely sure. Anway, I mixed the powder in at high speed for about a minute, then let the mayo sit on the counter for about 15 minutes. After 15 minutes, it didn't seem to make one bit of difference. It was still like someone aerated some good mayo up with some water to dilute it. A bit too foamy, a bit to weak, so I decided to shift gears a bit and address the weak taste. Mixing that together, the mayo immediately firmed up. It was very close at that point. No longer foamy, perfect consistency. I don't know if it was the extra acids and salt that took it from a foam to a mayo, or if something about the new set of ingredients spurred the konjac mannan into action, but I didn't care. The consistency was *exactly* that of the Just Mayo. I mean, exactly. The taste at that point wasn't bad, either. I mean it was super close. I didn't have the foggiest idea how to improve it, short of finding a lot of people to A/B test for me. But I didn't care. It was close enough for me to be a perfect substitute for Just Mayo. The only thing wrong with it at this point was the color. It's greyish white, but Just Mayo is yellowish. I suspect they probably did a lot of consumer testing to find what people expect, because they add beta carotene to get that color, so I figured why not take it all the way. .. I first tried adding another 1/4 tsp yellow mustard powder, but I suppose if I had thought about it more, I would know how unhelpful that would be. The mixture would already be yellowish with the amount already in there. derp. I didn't want to put food coloring it, so I tried a pinch of paprika and a pinch of annatto and a pinch of turmeric. No dice. It did add a subtle kick to the flavor, though... so on that note, I added a light dusting of onion and garlic powder, too. go spices! Then, I remembered I had some palm oil in the cupboard. The thing about unrefined palm oil is that it's like turmeric. It stains everything, but unlike turmeric, it doesn't really have a strong flavor. That's exactly what I needed. The brand I have is Nutiva brand, and they claim to source their palm oil in a sustainable fashion. Moreover, they contribute some of their proceeds to supporting preservation of habits. With all that, I don't have any problem using it where I can, given it's super strong color. In this case, I added a 1/4 tsp of palm oil to see how it would turn out. It turns out it was almost exactly right. Maybe a shy less would be better to match the original Just Mayo color, but who cares. At that point, I stuffed the remaining mayonnaise into the mostly empty container... a wolf in sheep's clothing... lol. Can't even tell, right? Both the taste and consistency are so close, I don't really care that it's not the real thing. It's amazingly good. And all from a day's work, a can of beans, some oil, and a few spices. Canola oil, aquafaba, lemon juice, vinegar, sugar, salt, spices, thickener, and color. And that is essentially the same. For me it's going to be a balance between the work to make my own vs. the ease of driving an hour and a half to get some Hampton Creek. I love that company, and want to support them as much as I can for everything they're doing to pull people into the light, but man o' man, gloating aside, this mayo is just that good. I've written before about how aquafaba is not just water and protein. There are proteins in it, to be sure. My best guess so far is albumins, maybe even globulins depending on how it's made. But, there are also glycosides, soluble fibers, and a few other interesting ingredients, that I think really make it shine the way it does in all the different applications in which it is being applied. If you're interested at all in this sort of stuff, please join our open source development group at http://bit.ly/VeganMeringues, so that we can all contribute and learn from each other!! Never did get around to making that taco, though. Thanks for all your hard work figuring this out, but I suspect your difficulty in getting the right texture started with a faulty premise: "This was still a super airy light foam, and that's not what mayonnaise is at all. It's a super dense, oily foam"
Mayonnaise is not a foam, it's an emulsion. 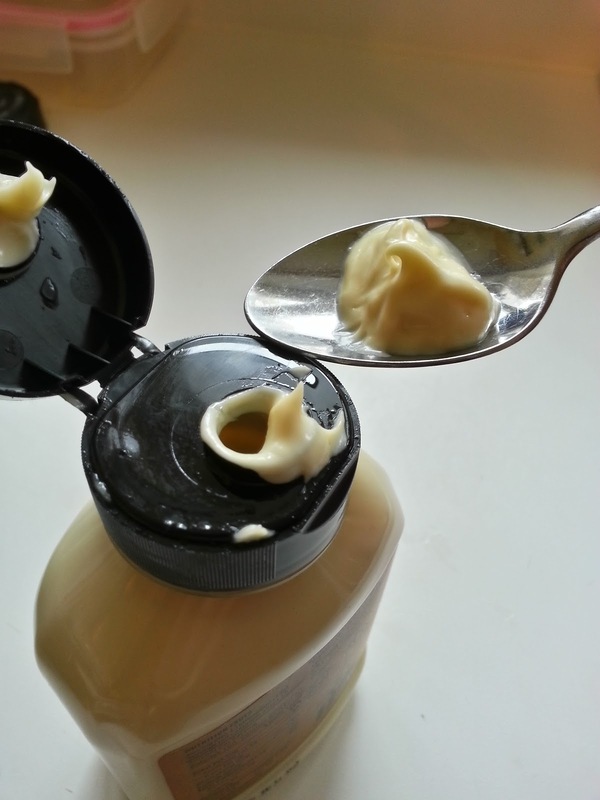 The texture of mayonnaise has little, if anything, to do with beating air into it, but with the emulisification of oil and vinegar or lemon juice. The lightening of the mayonnaise as it thickens may be somewhat due to some air being whipped into it, but that doesn't make it a foam. I've made vegan mayonnaise plenty of times in an ordinary blender with just soy milk, oil, and vinegar (and spices), and it turned out perfect. I think you could do the same with acquafaba (in place of the soy milk) without whipping it to foam first. I've never made mayo, but one thing I knew is that you add the oil real slow! 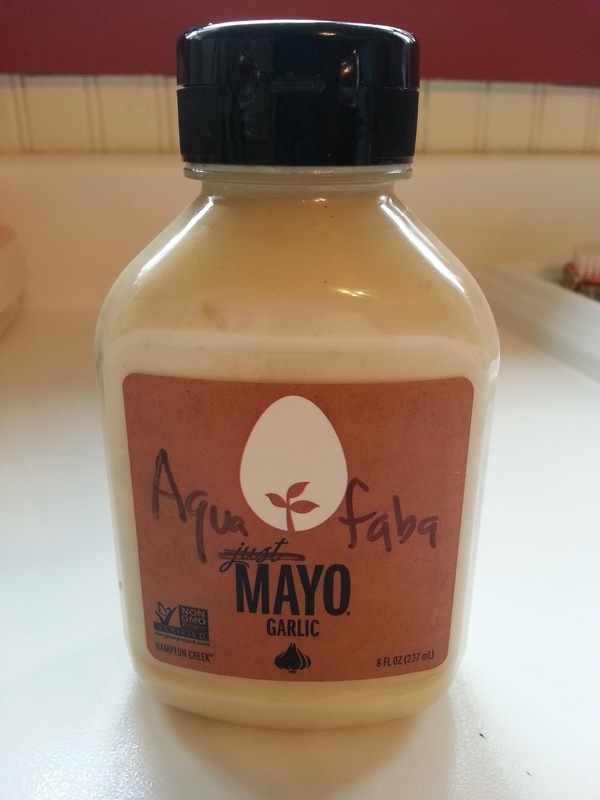 Thought I'd give this a try because I didn't find vegan mayo last time in a big shop (as I anyway was making hummus for the dinner tonight, so I had some aquafaba). Had to buy mustard. The tiny shop next to our house didn't have any of the fancy spices, so I went with Garam Masala (and really need to stock up with spices some day). I also mixed together own ketchup (as I got into this reading the packages). While making the ketchup in the blender I realized the hole on top could maybe be used while adding oil into mayo. Mixed aquafaba and vinegar + lemon juice, whisked to white fluff. Poured in the oil real slow while whisking (a small can with a tip helps). Mixed the spices in a small bowl, threw them in. Added the mustard blended with a spoon. (then I sorted out this mishap: Added 1/2 tsp too much mustard, tried to balance out with lemon juice, overdid, added a splash more of chickpea liquid, so be aware with the mustard. Also different brands are different strength. Subtracted these from the receipt.). Looking forward to the pita breads with vegan halloumi tonight. Hey Mr Goose tell you one thing (and I am serous about it) you deserve nothing less than a nobel prize for the discovery of aquafaba. You made so many people happy including me of course cos I did what I was missing - nougat. I stopped making it when I turned vegan and now....thanks to you I am having it again. i am just as mad at mayo as you. vegan one taste- blah. Hi ¡I just tried this! Had a great awesome taste but failed on the consistency, it was a little bit runny. I used the food processor. What could be my mistake? Did you use the 1/4 tsp konjac mannan powder or palm oil as well? Both thicken the recipe, I suspect. You could also substitute some of the oil in the recipe with refined coconut oil, which solidifies when cold. that might also be enough to thicken it up (haven't tried). Ok. Now what ingredient can be substituted for the oil in your aquafaba based mayonnaise? I am on the Caldwell Esselstyn prevention of heart disease diet which prohibits oil. 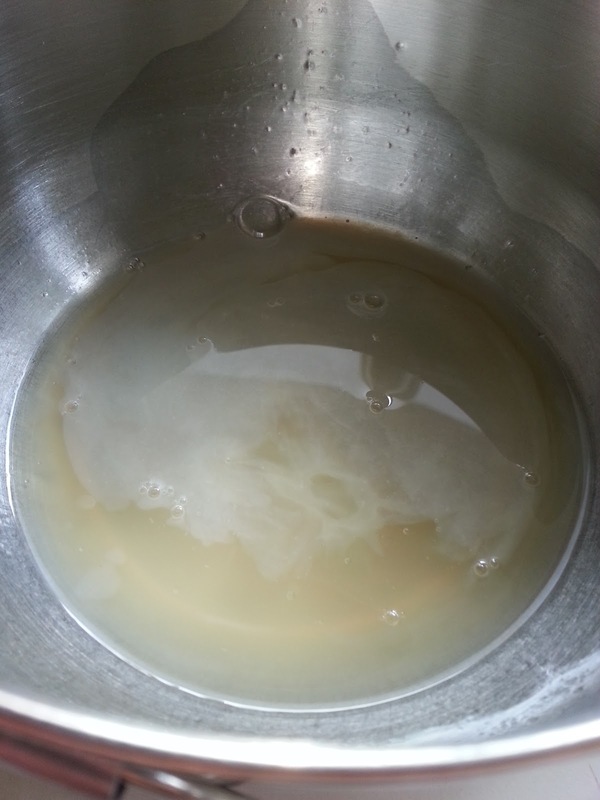 The point of the aquafaba is to emulsify the oil. If you are avoiding oil, there's no need for the aquafaba. 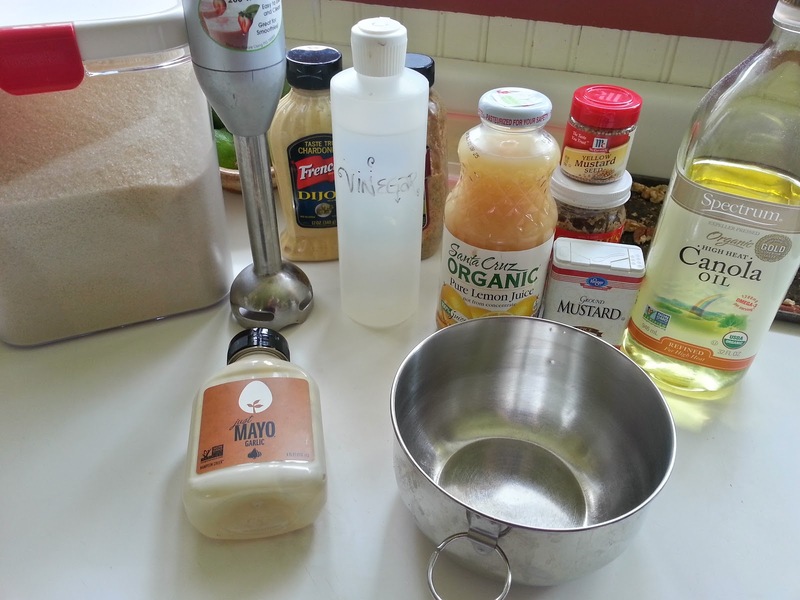 A search for "oil free vegan mayo" shows a few made with tofu, cashews and agar, or even potatoes, depending on how adventurous you want to get. Add some Nooch (roughly 1tsp) and leave the mayo in the fridge overnight - seems to thicken up quite a lot. Bannerizer made it easy for you to promote ClickBank products by banners, simply go to Bannerizer, and grab the banner codes for your selected ClickBank products or use the Universal ClickBank Banner Rotator Tool to promote all of the ClickBank products.